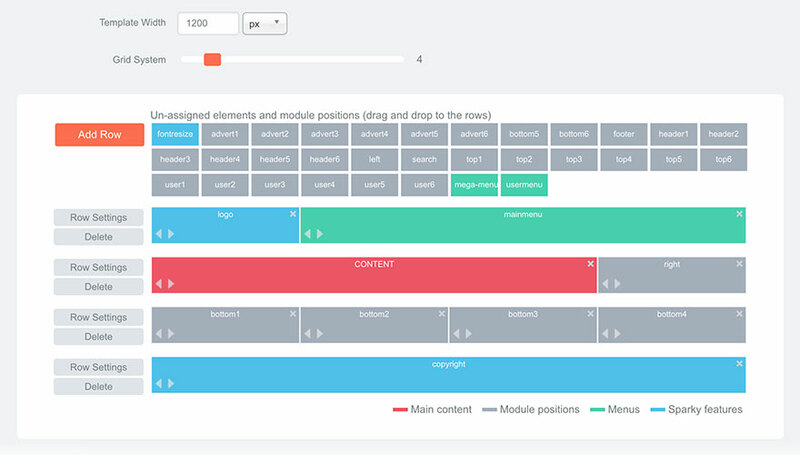 Your menus can be included in your layout from the Layout Builder as menu elements, or as modules. The Sparky Framework recognizes all the menus you created for your Joomla site. It will include each menu as an unassigned element that you can include in your layout (read about this in Layout section). The menu you included in your layout will be rendered on your page. How the menu will look and behave, you can set in the Menus tab. We are describing all the parameters available for each menu type in the Menus tab in this section. Click New and select Menu on the list of module types. Enter Title for your module and select whether to show the module title or not. Select a menu in the Select Menu drop-down pane. Select a module position for your menu module in the Position drop-down pane. 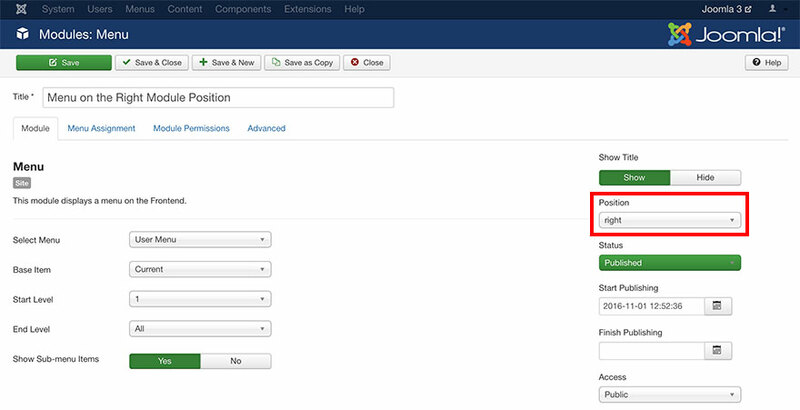 Make sure this position is included in your layout (read about Layout Builder in Layout section). You will get the same result as if you are including the menu element in layout. But, in this approach, you can add more modules in this module position. Also, this approach allows you to control on which pages the menu will be published (if it should not be published on all pages). You can still control the style and behavior of your menu in the Menus tab (please read more about it in the following chapters).